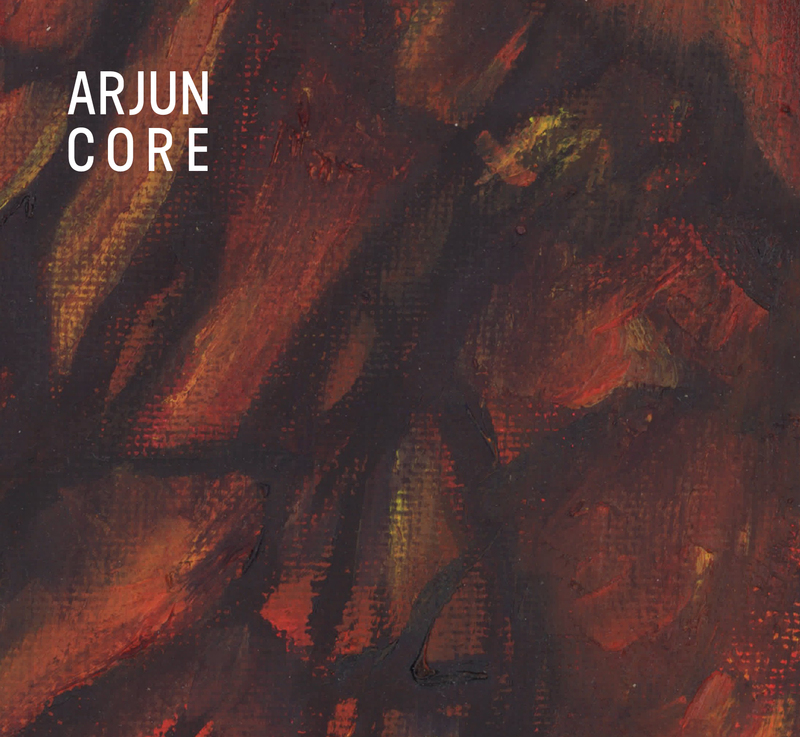 Arjun are a New York based instrumental trio, consisting of lead guitarist (and producer of this album) Eddie Arjun Peters, backed up by Andre Lyles on bass and Lamar Myers on drums. Together they cook up a potent brew of hybrid genres that showcases their virtuosity and versatility but never makes a gratuitous display of it. They have built up a solid fanbase through gigging, though they deserve to be heard by a much wider audience. This album, Core, follows on from is the second as part of a trilogy and their third overall. What makes Arjun unique is that, while they may seem at first glance to be a standard blues rock band, the kind that indulges in extended jams centred around improvised guitar solos, Arjun’s music is in fact highly structured and disciplined. The complexity and intricacy of the arrangements are something that is more commonly found in prog rock groups like Dream Theater and Tool. 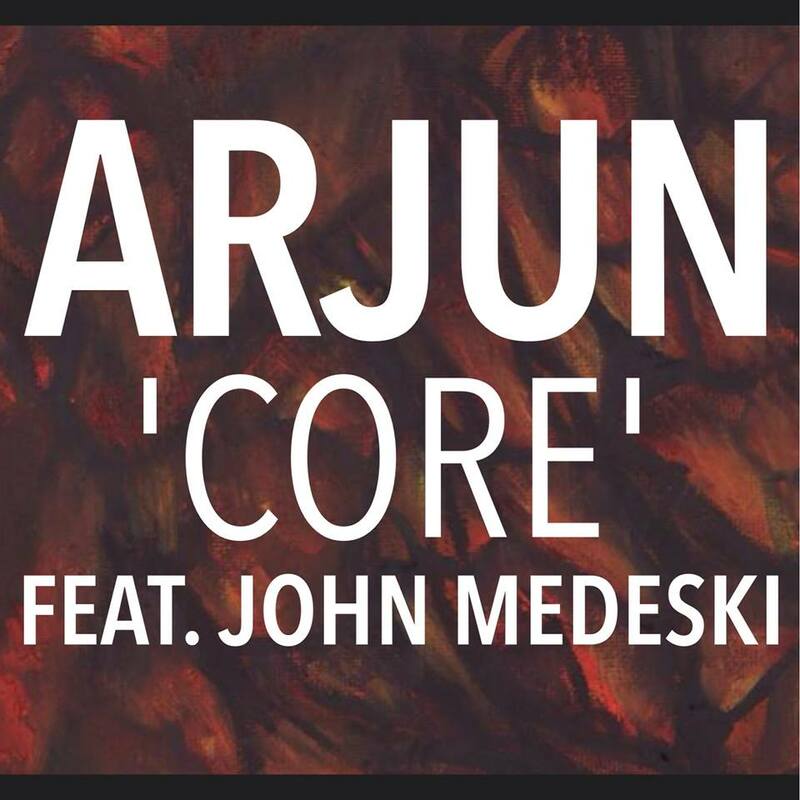 However, Arjun never deploy the often soulless, banal melodies found in that genre, on the contrary the music is always soulful and passionate. Whilst Arjun are rhythmically highly versatile, they also avoid the often bewildering overly complicated time signatures found in prog rock. So, in fact, they are a distinctive hybrid; I would classify their music as progressive blues-jazz, with heavy doses of rock and funk thrown into the heady mix. The album begins with Rocks, and features a surging rock intro that, if you weren’t familiar with the band, you’d expect to lead into a huge stadium beat and guitar riff. The unsuspecting listener is wrongfooted though, as it quickly moves to a jaunty jazzy melody on guitar with some fantastic stickwork from Myers. With his lighting fast snare fills, and mixture of rock and jazz drumming, he brings to mind Mitch Mitchell from the Jimi Hendrix Experience, though Myers’ playing is not as loose. The track goes through several sections juggling rock, jazz and funk with effortless ease, leading to a light and breezy solo from Eddie Arjun Peters. It is one of the more laid-back solos on the album in what sounds like the Dorian mode to my ear, which brought to mind Santana. The tightness and unity with which the three musicians play is what most impresses, with not a note or drum hit out of place in its five minute duration and this is a strong start to the album. The second track Deep Impact starts with a brooding, insistent jazz rhythm and a haunting guitar figure that evokes a strong sense of mood. This is then countered by an intense building section of rapid hi hat work and Andre Lyles gets show his skills more as this piece develops, contributing a funky, memorable bassline. Eddie Arjun Peters’ guitar playing is more aggressive here and his solo is more in a blues-rock style, reminiscent of Joe Satriani with some searing, incredibly fluent runs across the neck. Third up is the title track which features the highly regarded John Medeski (best known for Medeski Martin and Wood) on organ and which I have reviewed previously. It is six minutes of exquisitely crafted blues rock that channels the spirit of Electric Ladyland (more specifically the epic fifteen-minute version of Voodoo Chile) and features some superb playing from Medeski on a nicely overdriven Hammond. Eddie Arjun Peters’ playing is perfectly nuanced throughout on this one, more than ably supported by his rhythm section. Crystalline is aptly titled, with an introductory section featuring a gorgeous shimmering guitar sound and a languorous feel that brought to mind Albatross by Fleetwood Mac. It then gets going with a more upbeat but still laid back section, building up to some wonderfully fluid wah-wah guitar playing, the tone reminiscent of the classic solo in All Along The Watchtower. Sixth track Lavalust was my personal favourite on the album. Starting with some superb slap bass drenched in distortion, this is Arjun at their synergistic best with all three members contributing equally. Lyles, in particular, gets to shine more on this one, his bass playing excellent throughout, Myers’ drumming locks in to the music with metronomic precision and there’s not a dull moment in its five and a half minutes. The next track Alchemy was not one of the album highlights for me, however. Though a perfectly accomplished piece of music, it felt a little uninspired and lacking in mood, with Myers sounding like he is straining at the leash a little, slightly overplaying in certain parts, as if attempting to inject some life into the track. It is the only part of the album where the musicians aren’t working in perfect harmony to my ear, but this is really just a minor criticism as it is still enjoyable listening. I did enjoy the chiming ascending guitar riff and simplicity of the string-bend based melody. Within You is the closing track and a strong finish to the album, a mellow low-key number with the same late-night feel as the title track, though there was an elegiac, somewhat melancholy feel to the music which provided nice contrast to the more upbeat numbers. I loved how the guitar and bass play in harmony in certain sections and the musical tightness and unity displayed in the last seconds of the piece is quite remarkable. It could be argued that finishing the album with two mid-paced tracks leads to a slight loss of momentum after the high point of Lavalust, but perhaps they are saving the fireworks finale for the third album of the trilogy. Overall, these minor quibbles aside, this is an excellent album, a consistently impressive and enjoyable body of work that has been recorded and produced to perfection (special credit should also go to Scotty Hard who mixed the album). Arjun are masters of their craft and their synergy is clearly the result of years of playing together, as with all the best bands. You can also sense this is a real labour of love for all involved, and repeated listenings are richly rewarding as the intricacies and nuances become more manifest. As the music is instrumental in nature it lends itself to be suitable for soundtracks, which I hope will lead to the widespread recognition this band deserves, though I think will be best appreciated by people who know true musical class when they hear it.